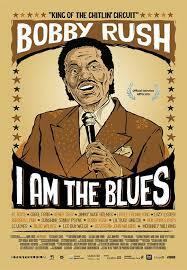 Following 81 year old bluesman Bobby Rush as he hits the road, I AM THE BLUES captures what’s left of a dying generation of American musicians. In the bad old days of segregation, black musicians had their own network of clubs called the “Chitlin’ Circuit”. These black owned juke joints and roadhouses gave the early blues musicians a place to play, often for little more than a drink and some food. Many of the old establishments are gone, but not all of them, and as Rush goes on tour we get to see some of the surviving venues. We also get to see many of Rush’s contemporaries who, like him, can still kill it live regardless of age. Among the featured performers are Barbara Lynn, Freddie King, and Lil’ Buck Sinegal. They and the other musicians featured here may not be household names now, but they made substantial contributions to music history. Thankfully filmmaker Daniel Cross has put together this time capsule while he still could. Since the film was completed in 2015, one musician (L. C. Ulmer) has already passed away. There isn’t much structure to I AM THE BLUES, and if you’re looking for a comprehensive, linear history lesson of the music, this isn’t the film. But these legends have no shortage of stories and memories to share. Not to mention plenty of great music. 3 out of 4 stars.